shown at the Upton Town Library on Wednesday, April 18th, beginning at 6:30pm. 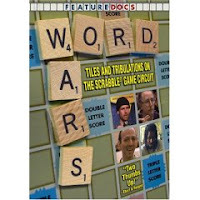 "Word Wars follows the journey of 4 top tournament Scrabble players on their quest for the National Championship. As anagrams fly and tempers flare, the real battle may be in their own heads." Some past films in this series have included: An Inconvenient Truth, The End of Suburbia, Why We Fight, Wal-Mart: The High Cost of Low Price, and The Secret. If you have attended one of these events, we would love to hear your comments! Also, please feel free to suggest titles/topics for upcoming movies.